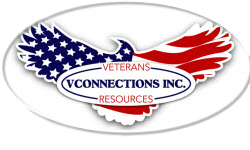 The Veterans Reaching Out to Veterans Support and Assistance Initiative – VConnections, Inc. The other day I received a call from the daughter of a veteran, who was very excited about the VConnections Veterans Reaching Out to Veterans Initiative, which focuses on veterans helping each other. VConnections team members had recently visited her wheelchair bound father who had given up on the VA process. She excitedly explained how her father was so excited about the visit and was now talking again about filing for benefits after being disappointed for so many years. She told me that he had felt uncomfortable since his initial visits to VA and experienced anxiety in talking with other veteran support organizations. At VConnections we understand that one of the most effective forms of assistance for former service members are veterans helping veterans—and for good reason. Military service fosters a sense of camaraderie and trust among service members that usually continues even after military service is complete. Veterans may also be highly motivated to help a fellow brother or sister in arms and go above and beyond to assist because of this bond. 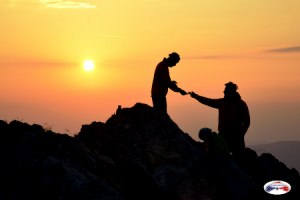 The “Veterans Reaching Out to Veterans” Support and Assistance Initiative is a series of solution-based programs and activities developed by VConnections to assist veterans from becoming overwhelmed by the process while offering assistance in getting results. To learn more about how we can assist you or your veteran loved one, please contact us. ← We Are Veterans, Not Pages of Statistics!